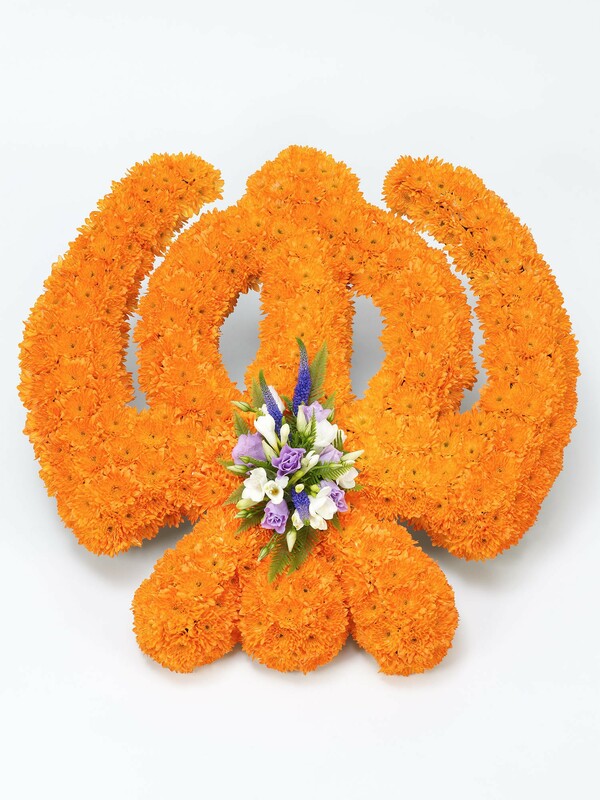 This stunning and sublime Khanda Sikh tribute is set to perfection. 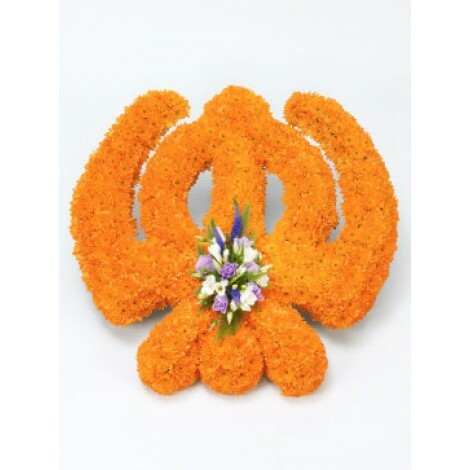 This breathtaking and beautiful Khanda Sikh tribute is crafted from only the freshest of flowers to create this mesmerizing array of natural beauty. 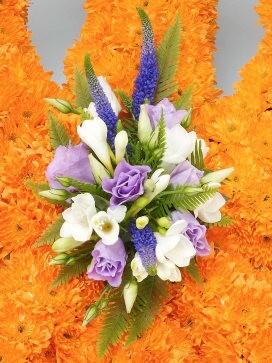 This stunning floral creation features; a mass of orange double spray chrysanthemums are used to form the shape, which is accented and completed with a delicate spray of white freesias, lilac lisianthus and blue veronica.